A joint project with SAMK and NJCU School of Business was granted the top pedagogic design award in the whole state of New Jersey. The Bright Idea Award is presented annually to New Jersey business schools that have shown innovation in learning environments and methodology. In November the New Jersey Academia community granted the Bright Idea Award to 10 universities out 165 applicants. Professor Donnellan fourth from the left. 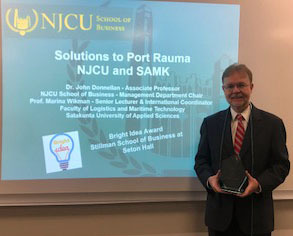 During fall semester 2017, NJCU School of Business Management partnered with SAMK on a joint project involving Port of Rauma. The objective of the learning project was to provide recommendations on a goal of expanding its business to Port Jacksonville or Port Baltimore USA. 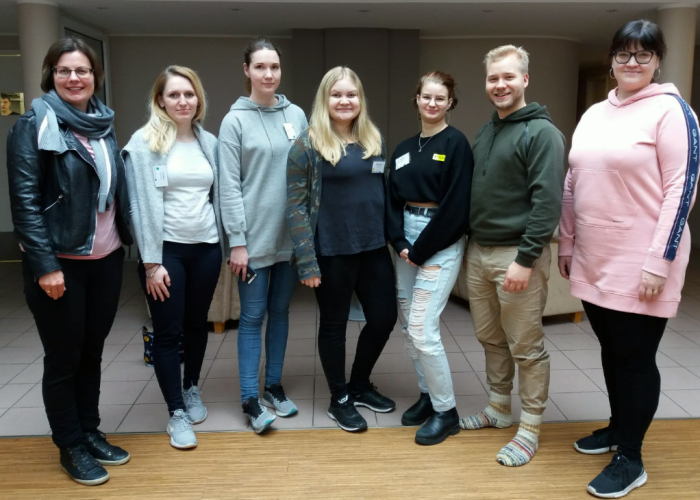 – One faculty member from the USA and three from Finland formed six teams consisting of 14 USA Business students and 34 Finnish engineering and business students. There were altogether eight mixed teams, says Marina Wikman from SAMK. The USA professor, Dr. Donnellan, received a Fulbright grant to cover all expenses for a specialist visit to SAMK to start the project with SAMK colleagues and the company. 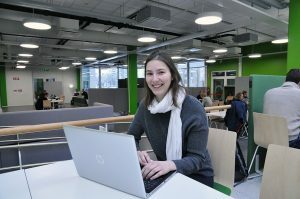 Dr. Anne Pohjus and Senior Lecturers Anssi Pajala and Marina Wikman represented SAMK in the project. 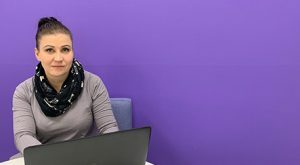 The pedagogy for this assignment was project based learning through an innovative learning environment involving international collaboration between two universities and an actual business. HILL and Moodle were used for communication between students and professors. Teams focused on project management, cultural awareness, marketing, finance, critical thinking and negotiating skills. Teams presented their proposals to the professors and the company. Students provided the company with suggestions to develop their operations. – Feedback from students was positive and they appreciated the opportunity to work with a different culture to solve an actual business need, states Dr. Donnellan. have also entered into a formal agreement between the universities. Dr. John Donnellan from NJCU, New Jersey, USA, was at SAMK for a 3-week project visit. The main reason for SAMK to apply for a Fulbright Specialist was the will to start a co-operative project in supply chain management with NJCU.